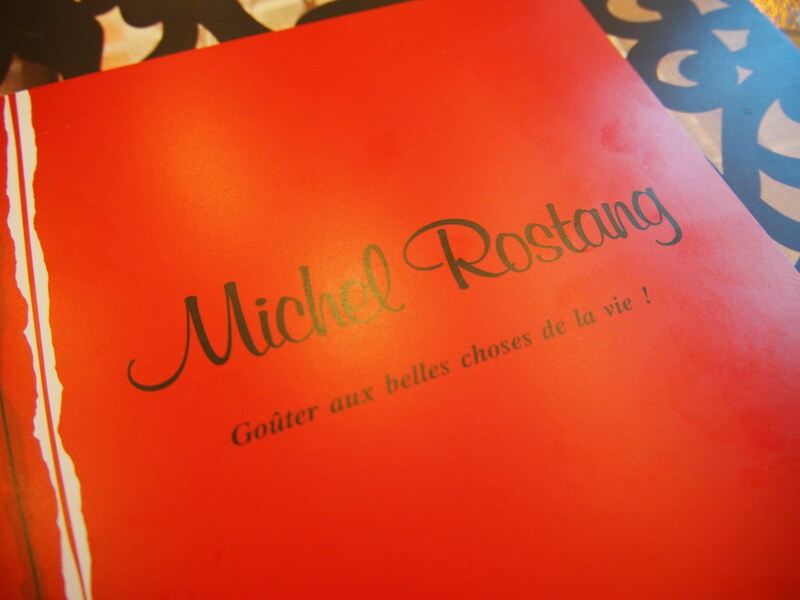 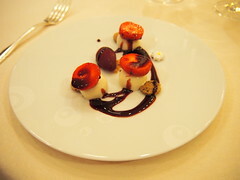 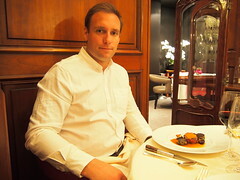 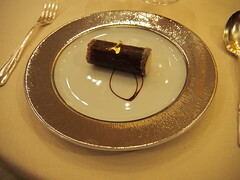 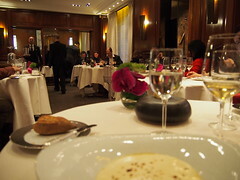 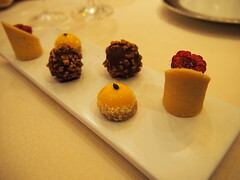 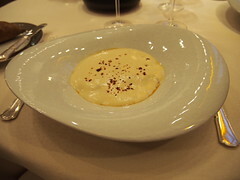 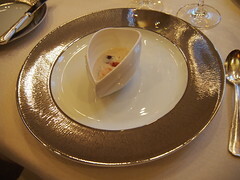 His restaurant not far from the Arc de Triomphe is well worth its 2 michelin stars, but doesnt come cheap. 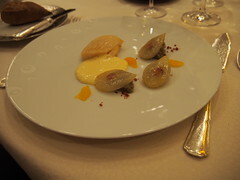 Around 200 euros for a 3 course meal and about the same for a 6 course tasting meny or 220 for 8 courses. 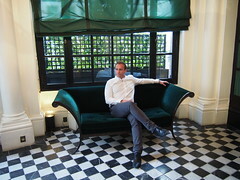 And suddenly we were here. 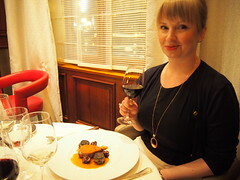 Anette happy to be at Michel Rostangs 2 star restaurant. 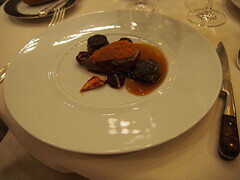 Here we go, pigeon served at Michel Rostang. 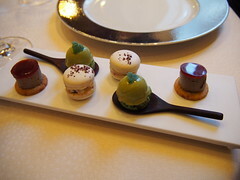 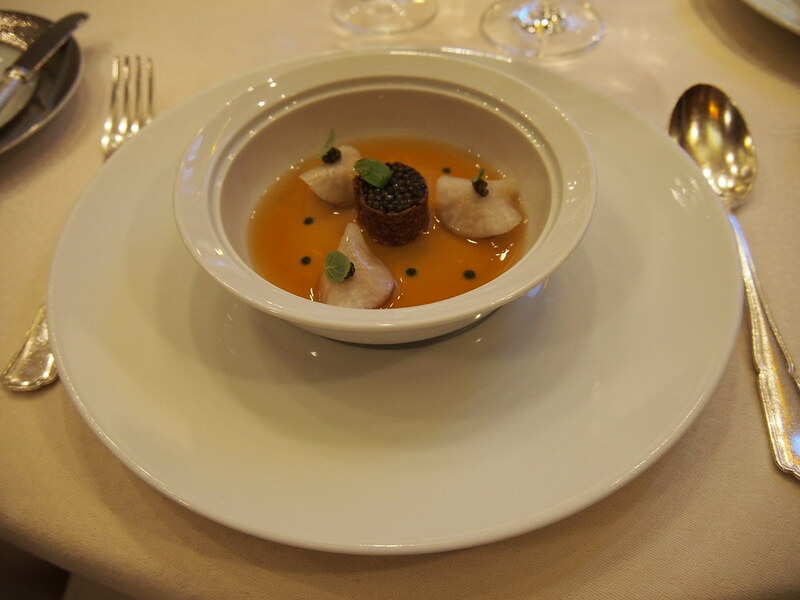 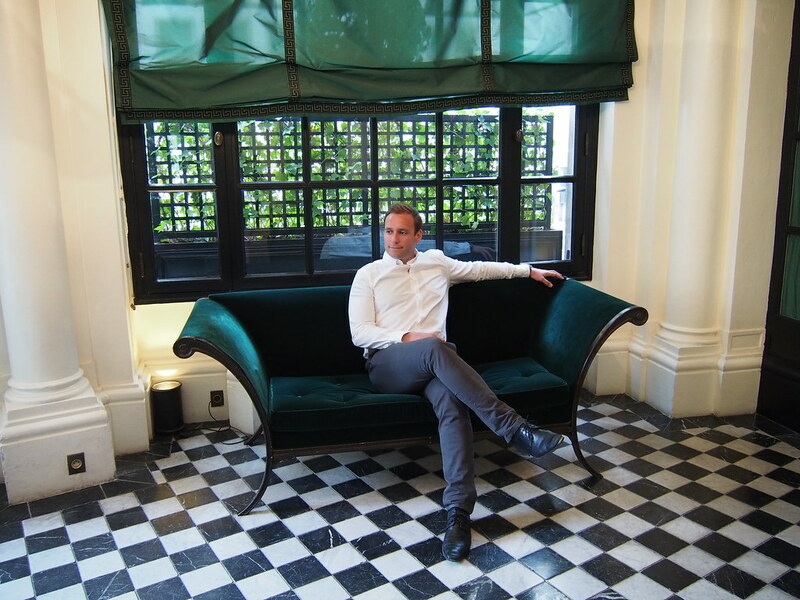 ← Le Meurice by Alain Ducasse, Paris!